The following is going to cause creationists to run screaming from the room, and perhaps that is not a bad thing, because the rest of us can get on and have a decent conversation. 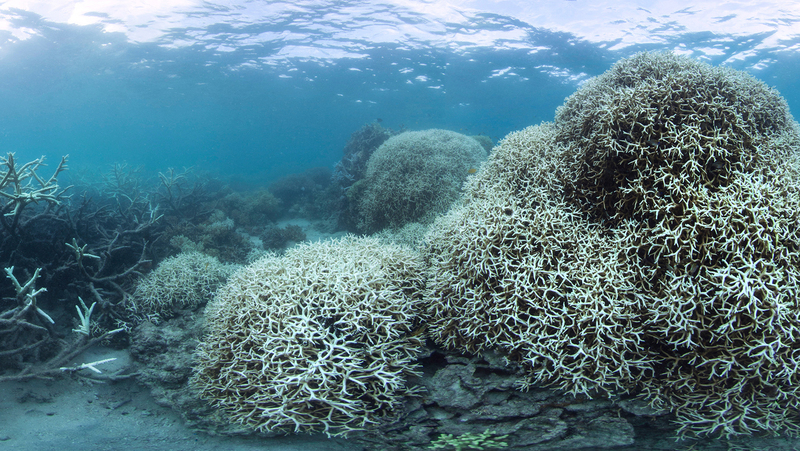 If you have heard about the catastrophic devastation suffered by the world’s coral reefs you will know that climate change, warmer waters and additional carbon dioxide in the water has caused them to bleach and ultimately to die. Scientists engaged in a race against time have been trying to give them a help by shortcutting the coral’s own evolutionary response and allowing it to adjust to its new environment now instead of later. Think back to school. Remember those classes they (hopefully) taught you about Charles Darwin and his ideas about survival of the fittest and how species evolved over time? That process is millennia old and takes a long time to happen. Now scientists who study the coral reef believe we are running out of time as far as coral is concerned, and so have taken the radical step of trying to nurture nature or assist evolution. Their goal is to speed up evolution to build in resistance to climate change much faster than natural selection could ever achieve. There is a possibility coral reefs across the world could disappear as quickly as 2050 and so effectively what they are trying to do is fit years of slow adaptation into a measly 31.5 years. The initiative is bold in its goals and smacks of necessity being the mother of invention. Some species have managed to survive bleaching and scientist aim to cross-breed the resistant strain with areas where non-resistant strains have not yet died. Research teams from the Hawaii Institute of Marine Biology and the Australian Institute of Marine Science are engaged in similar projects. The concept and hope are that by speeding things up they will buy time for reefs to last until the world addresses greenhouse gasses and climate warming. To do this they have to create a simulation in micro of what is happening to the sea in macro. Effectively they need to mimic what is happening outside and hope that their new resistant hybrid strain thrives and continues to do so. Another way of looking at assisted evolution is to help species which normally live in one place move to another. In British Columbia areas which have been logged or destroyed by fire are being reforested but with species which would usually have been found further south. As the average temperature rises, they now are comfy in more northern latitudes and adjust to the area. There are people who would argue our intervention is not warranted and we should leave well alone. But climate change is our doing. Developments we made since the beginning of the Industrial Revolution caused the problem. It makes sense to make our developments help us deal with it.